Full disclosure here. Maine destroyed my Lone Peak 2.5’s. Whether it was the terrain, a manufacturing defect or my consistently horrible choice of footing that caused it is totally unknown to me, but 281 miles made them look like this. Notice the total carnage of the Lone Peak 2.5. Carnage circumvents the entire shoe bilaterally. These AREN’T the 3.0’s. I contacted Altra directly and explained my plight. I played the “I’m a broke thru-hiker” card the best I could and they went ahead and sent me a brand new pair of Lone Peaks to the next town. But they didn’t just replace mine, they sent me the Lone Peak 3.0 (even before they available for retail). And while they weren’t donated, and I did pay for my first pair, I felt the need to review these gems for all future hikers out there. Because they rule. And because Altra rules. 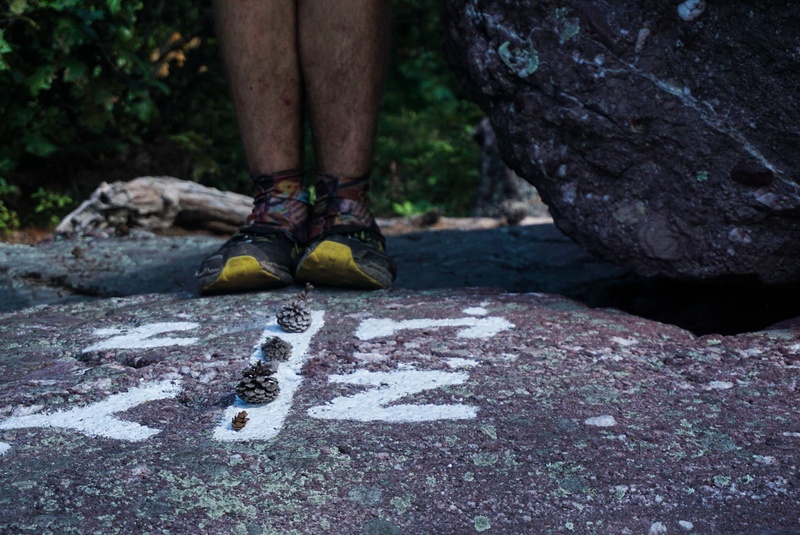 I wore these for the past 600 miles of my Southbound AT thru hike through New Hampshire to Pennsylvania and they’ve held up amazingly well. Here’s what you want to know about them and nothing else. Yes the 3.0’s still have the wide toe box and the zero drop technology. The zero drop still feels natural and encourages a better running form . My constantly swelling feet fit comfortably into the wide shoe. They’re breathable, light and cushioned JUST enough. After wearing my 2.5’s for a few months and swapping into these, I noticed no difference in fit. Which is sweet, because that’s what we expect. Consistency. I still don’t carry camp shoes because these are so comfortable all the time! For once a company decided to not fix what ain’t broke.Thanks Altra! 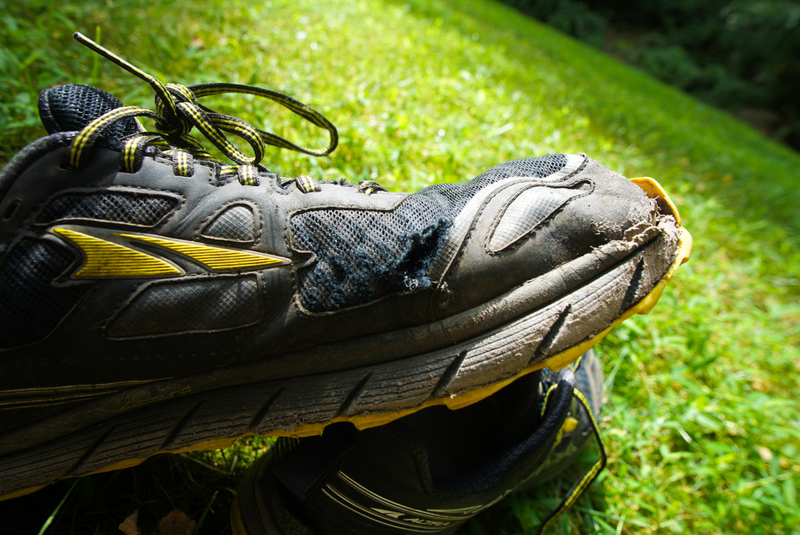 Everyone knows that trail runners don’t last. Not even a little. 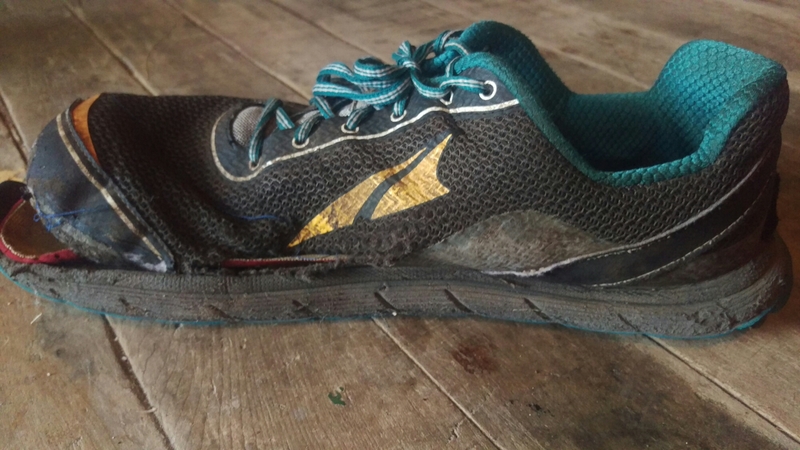 Altra customers know that the Lone Peaks especially don’t last. 1500 miles on a single pair is possible, but not comfortable in most cases. The 3.0’s have a beefier sidewall and more rubber construction. This means sharp rocks to the side of your foot will still hurt like a mother, but the shoes won’t crumble around your feet. A quarter sized custom hole on the outside of my right shoe provides bonus ventilation. 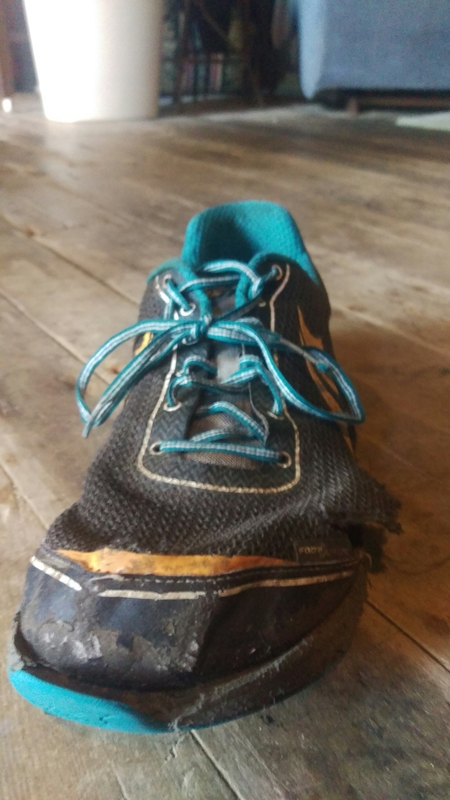 After 600 miles I managed to put a hole in the side of one, and I bet it’s more from my constant tripping and stumbling than a shoe problem. The front of the shoe still has that pesky little rubber bumper that falls down after it gets dirty and wet a few times. I think it stayed in tact for a week before I had to superglue it back on. Since then it’s been okay, but Altra should really take a note from the Solomon style of front bumper, and consider a full frontal wrap design. This just doesn’t hold up out the gate. Superglue is rad though. The lone peaks don’t like water in the front bumper. 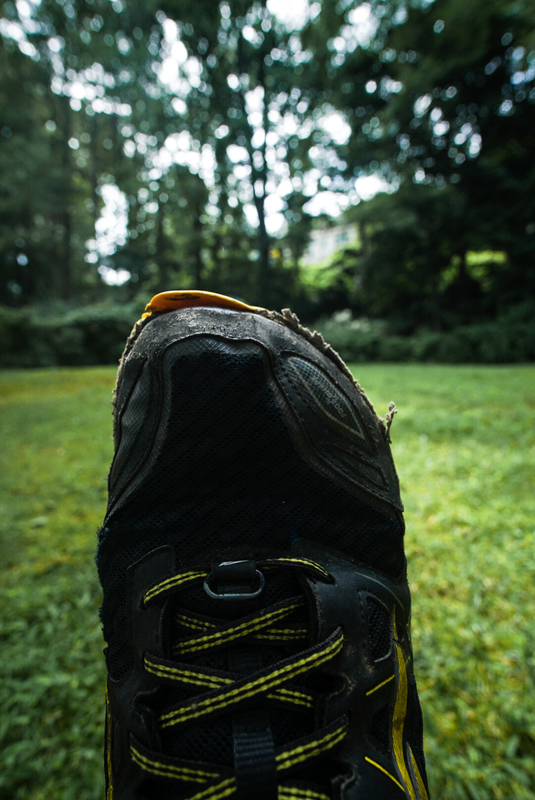 The main benefit of a trail runner versus a boot is the ability to dry quickly. The Lone Peak 3.0 dries out from soaking wet to mostly dry in about a day. Which is great, because I can’t seem to keep them dry ever. Yeah, they are pretty worn. But they held up well before now, no foolin’! 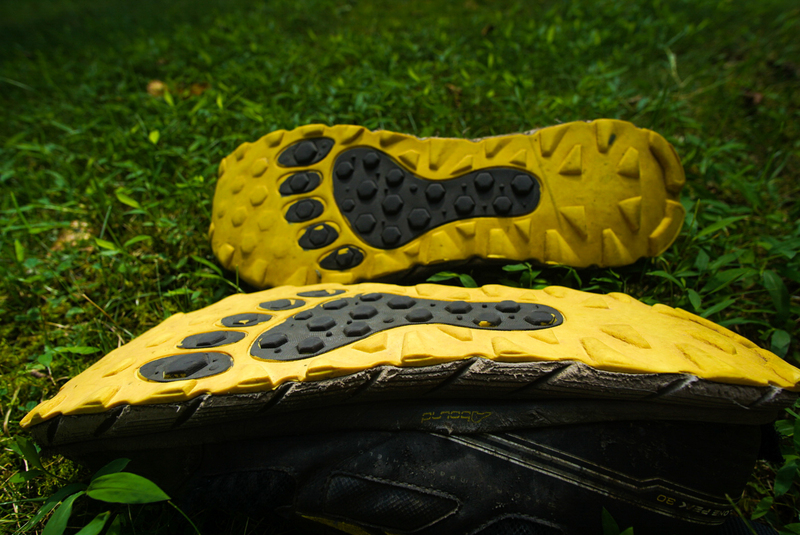 Like any other trail runner, the grip is awesome on everything but wet rocks, wet roots, wet dirt and sand. The tread seems to have lasted just until about a week ago, or 500 miles. I’m having to step carefully over New York rocks now. PA rocks will be a different story altogether. It’s about average all around, but nothing to write home about. 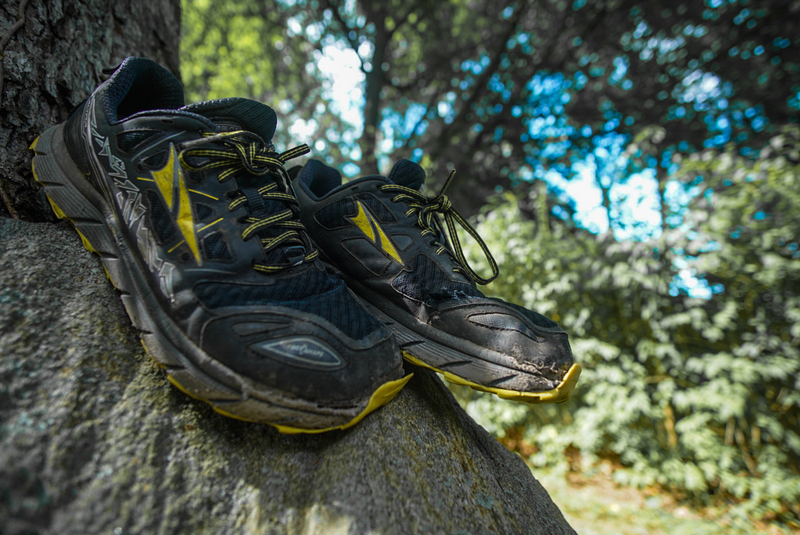 Altra should take pride in knowing that thru hikers love these shoes. Thru hikers should rejoice that Altra has taken the biggest problems with their most popular trail runner and fixed them the best way they can. This WILL be 2017 AT shoe without a doubt. It has my full support without question.